Melissa Unemori Hampe serves as Managing Director of Grants and Federal Affairs. Melissa joined the firm in 2008, bringing more than 12 years of public policy experience in the House and Senate and at a national nonprofit. She provides strategic external funding and government affairs analysis, advice, and advocacy services to a range of healthcare, higher education, non-profit, for profit, and state and county government clients. This includes helping clients generate and develop fundable project ideas; analyze, prioritize, and refine those ideas; and build and submit them in a way that is compelling to funders. Melissa also creates and implements government relations strategy for appropriations and authorization. She has also helped to develop and implement the firm’s strategic goals and provided the genesis and implementation for the firm’s suite of federal and foundation grant services, assisting in growing the grant writing network from zero to more than 200 writers. Prior to joining McAllister & Quinn, Melissa advocated before Congress and the Administration for mentoring public policy and funding issues as the Director of Government Relations at MENTOR/National Mentoring Partnership, representing roughly 30 state and local partnerships and 4,000 local mentoring programs across the country. Prior to that, she served as Legislative Director to former Senator Daniel Akaka, leading a collaborative legislative and press team including personal staff and the staff of the Veterans’ Affairs Committee and a Homeland Security and Governmental Affairs Subcommittee in the development and implementation of the Senator’s legislative priorities. Before that, she worked as a Domestic Policy Advisor for the Senate Democratic Policy Committee under the leadership of Senator Harry Reid (D-NV) and former Senator Tom Daschle (D-SD), and as a legislative and press staffer for the late Congresswoman Patsy Mink (D-HI). Melissa earned her B.S. from Cornell University and M.B.A. from the Yale School of Management. 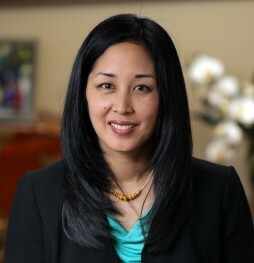 Her political work includes serving as a Board Member of the Asian American Action Fund, where she served as Deputy Executive Director for several years.